LONDON--(BUSINESS WIRE)--The rice noodles market in APAC is expected to grow at a CAGR of more than 5% during the period 2017-2021, according to a new market research study by Technavio. The report categorizes the rice noodles market in APAC by product (rice vermicelli and rice stick, and other rice noodles varieties) and by end-user (retail and foodservice). The report also determines the geographic breakdown of the market in terms of detailed analysis and impact, which includes key geographies such as China, Thailand, Vietnam, Indonesia, India, and Japan. The gluten-free food market is gradually increasing in APAC countries such as China and Australia owing to the increase in the number of health-conscious people and the rise in awareness about celiac diseases. There is no medication available currently to treat this disease, and the only way to avoid it is to switch to a gluten-free diet. As rice noodles are naturally gluten-free, the overall demand for this noodle variety is high, especially among health-conscious consumers. Factors like new product development, improved taste and versatility, and high levels of marketing support often help in increasing the overall demand for the product within the market. Thus, several players are currently launching rice noodles offerings in APAC to expand their portfolio of products. For instance, in 2015, SA GIANG (a Vietnam-based company) launched processed instant products from rice like instant beef rice noodles, instant chicken rice noodles, and instant tapioca rice sticks. It is expected that more players would launch rice noodles with new parameters during the forecast period, which would eventually help in enhancing sales of the overall market and sustain growth. The rice noodles market in APAC is increasingly facing challenges due to the large number of launches of other noodle varieties within the region. For instance, in 2017, Nestlé India launched MAGGI Masalas of India Noodles range with flavors like Amritsari Achari Masala Noodles, Mumbaiya Chatak Masala, Super Chennai Masala Noodles, and Bengali Jhaal Masala Noodles. Players manufacturing rice noodles need to come with variety and new flavors to compete with other noodles launched in the market. The rice noodles market in APAC is fragmented due to the presence of many small and large players who compete based on price, quality, innovation, packaging, reputation, marketing channels, and distribution. Intense competition among players, along with rapid technological changes, constitutes a significant challenge to the player in the market. The rice noodles market in APAC is subject to the rapidly changing consumer demands and preferences. The performance of players in the market is often influenced by the changing consumer spending pattern, consumer tastes, local economic conditions, and demographic trends. 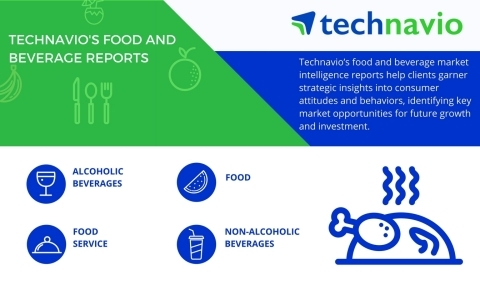 Access Technavio’s continuously growing food research library and find expert analysis on hundreds of markets. The rice noodles market in APAC is expected to grow at a CAGR of more than 5% during the period 2017-2021, according to Technavio.